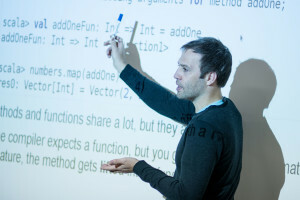 Join this talk on Reactive Microservices and learn how to design low-latency and high-throughput microservices that can self-heal and scale elastically. Everyone is talking about microservices, but there is more confusion than ever about what the promise of microservices really means and how to deliver on it. In this talk we will explore microservices from first principles, distilling their essence and putting them in their true context: distributed systems. We will start by examining individual microservices and explaining why it is important to adhere to the core traits of isolation, single responsibility, autonomy, exclusive state, asynchronous message-passing and mobility. But what many people forget is that microservices are collaborative by nature and only make sense as systems. It is in between the microservices that the most interesting and rewarding, but also challenging, problems arise—here we are entering the world of distributed systems. Distributed systems are inherently complex, and we enterprise developers have been spoiled by centralized servers for too long to easily understand what this really means. Slicing an existing system into various REST services and wiring them back together again with synchronous protocols and traditional enterprise tools—designed for monolithic architectures—will set you up for failure. What we need in order to build resilient, elastic, and responsive microservices-based systems is to embrace microservices as systems and re-architect them from the ground up using reactive principles. 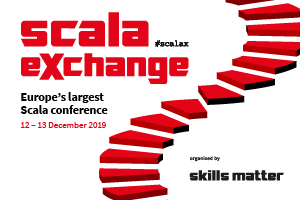 Join us at ScalaX 2016 on 8-9th December for 2 days packed with talks, tutorials and discussions on Scala and the reactive platform.